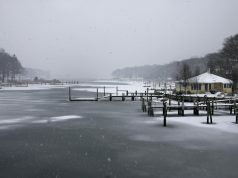 It’s the most wonderful time of the year: winter Chesapeake fishing! Anglers can enjoy fishing for striped bass in the Chesapeake Bay and on the Atlantic Coast year-round, and December is typically one of the best months to catch large fish. Striped bass, known locally as rockfish, tend to congregate in locations where the rivers and tributaries come into the Chesapeake. Jigging with heavy sinker lures such as Stingsilvers and large plastics is typically the best tactic to reach down and catch them, and it’s also a fun and active method. When a large rockfish hits your lure, there’s no doubt about it, especially when using braided line. Trolling large lures down deep is another effective tactic. As the water temperatures drop into the 40s, the fish get a little sluggish, but they need to eat all year long. A fully heated cabin will keep you warm for the run to the fishing grounds. 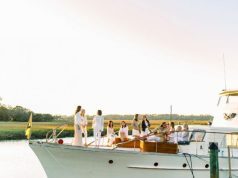 Hiring a professional charter is also an option, and many captains continue to run their boats until the end of the month. Under current regulations, the season in Maryland turns into catch-and-release only beginning January 1st until the opening of the spring trophy season in mid-April. 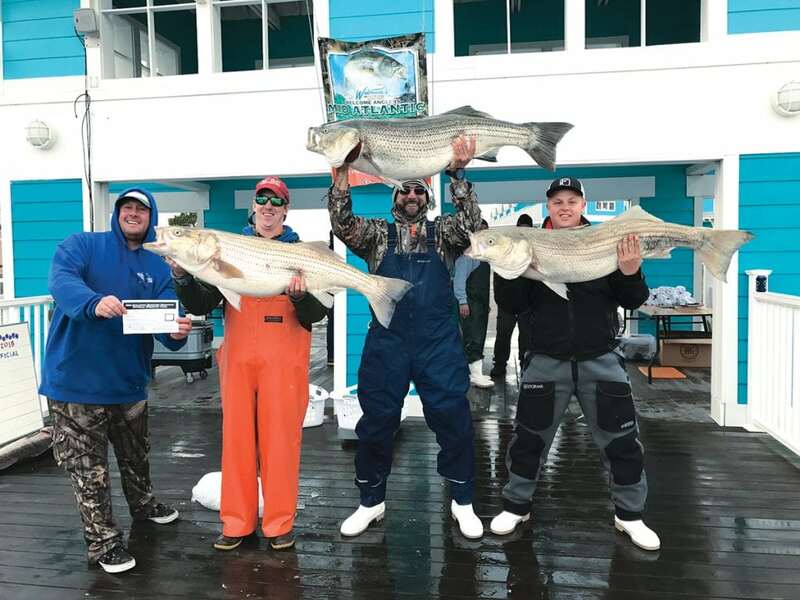 The spring trophy season on the Chesapeake for stripers in Virginia usually begins in mid-May. The season is open all year on the coast with a 28-inch minimum size. The Chesapeake is the largest striped bass nursery area on the Atlantic coast. Seventy to 90 percent of the Atlantic striped bass population uses the bay to spawn, which occurs from April to early June. After spawning in the spring, most large stripers move to coastal waters. 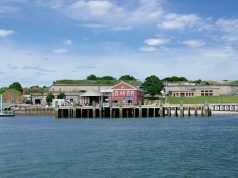 They spend the summer along the New England coast and the winter near the mouth of the Chesapeake near Virginia Beach and on down to North Carolina. A 73-pound striped bass caught January 23, 2008, by Frederick Barnes of Chesapeake is the Virginia state record. Barnes made the record-setting catch in the Atlantic about a half mile north of the 4A buoy located north of Rudee Inlet and off Fishermen’s Island. The fish hit a trolled red and white Stretch 30 lure. The North Carolina striped bass record is a 64-pound fish caught by Keith Angel off Oregon Inlet in 2011. The Maryland state record fish of 67.5 pounds was caught by Devin Nolan in 1995 Bloody Point just south of Kent Island.